In May we will present the Australian premiere of . . . Performances:May 12, 13, 18, 19 & 20 at 8.00 pm. Matinee May 20 at 3.00 pm. Tickets: General admission $25.00. Concession $20.00. Set in Kingston, New York. It’s a freezing cold night where a women sits all alone at a bus stop. A teenage boy approaches . . . 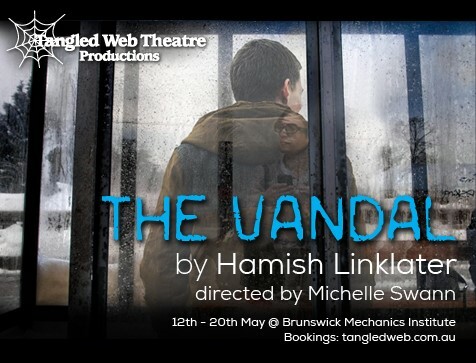 The Vandal by Hamish Linklater. Warren Pryer as The Man. Congratulation to the three of you and thank you to everyone who auditioned. 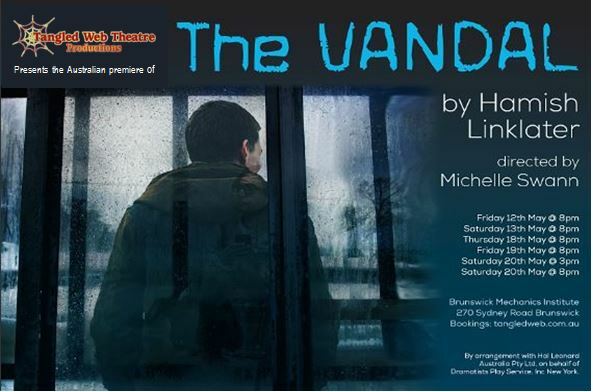 In September our production will be our VDL entry . . . PLEASE NOTE THIS PRODUCTION IS PRECAST. and in November . . . 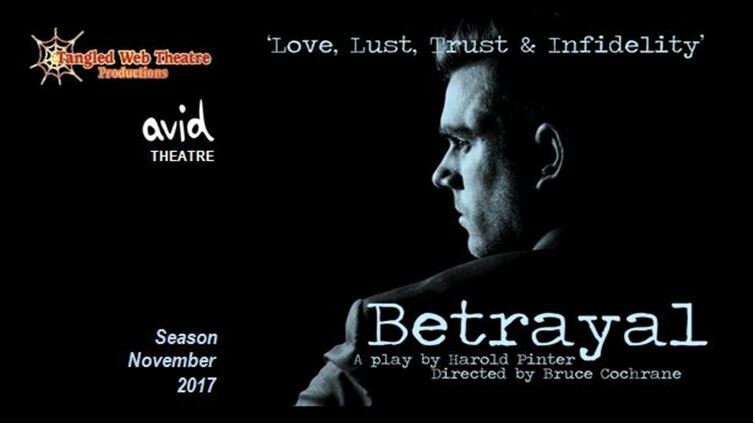 Copyright © Tangled Web Theatre Productions 2017... All Rights Reserved.